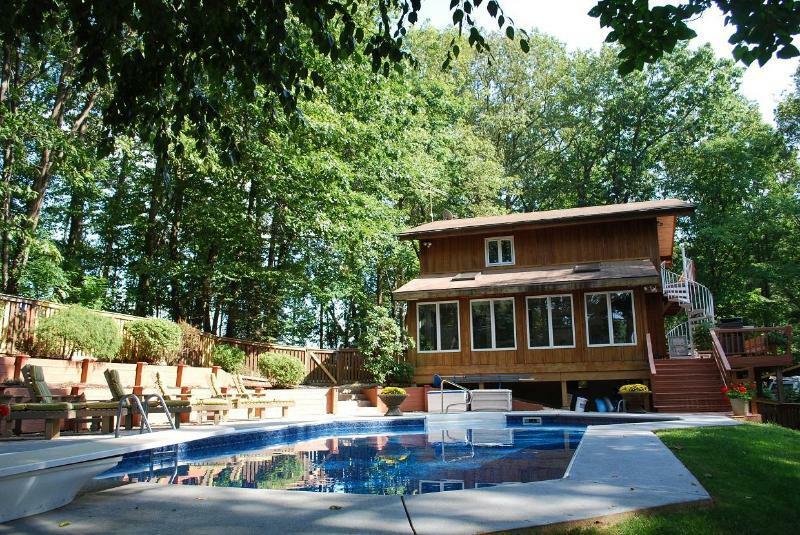 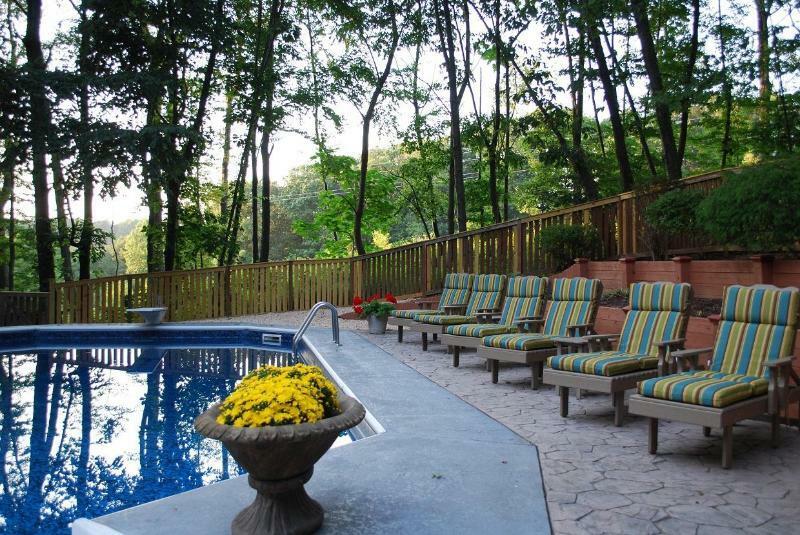 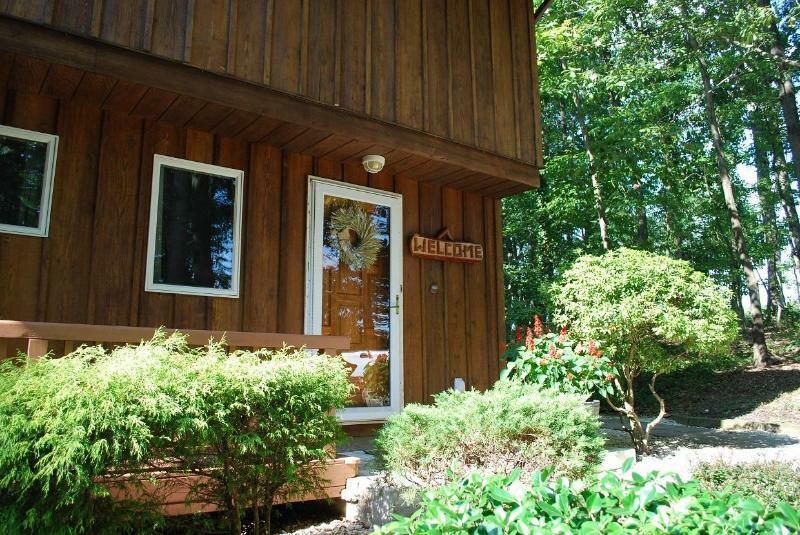 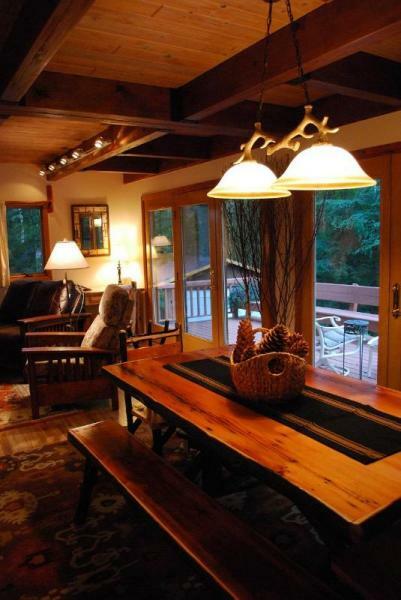 Charming Cabin * Beautiful Fall Colors * Fire-Pit - Lancaster, PA Vacation Rental - Pennsylvania Dutch Country. 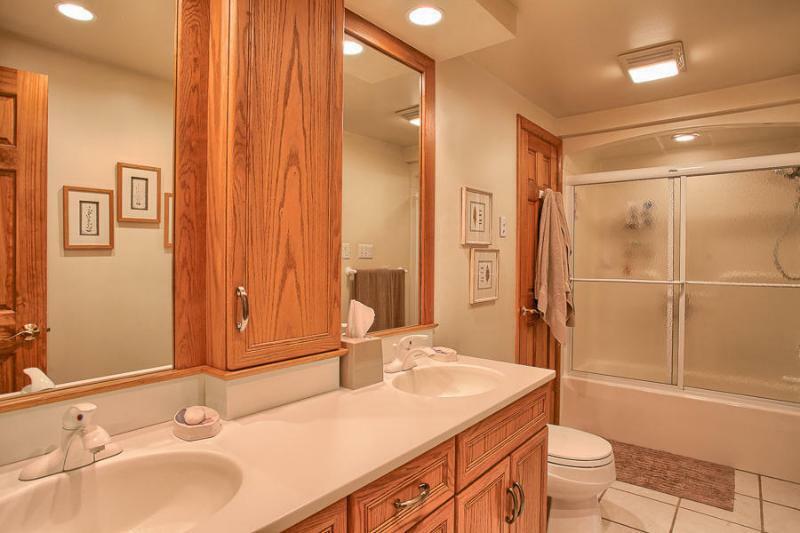 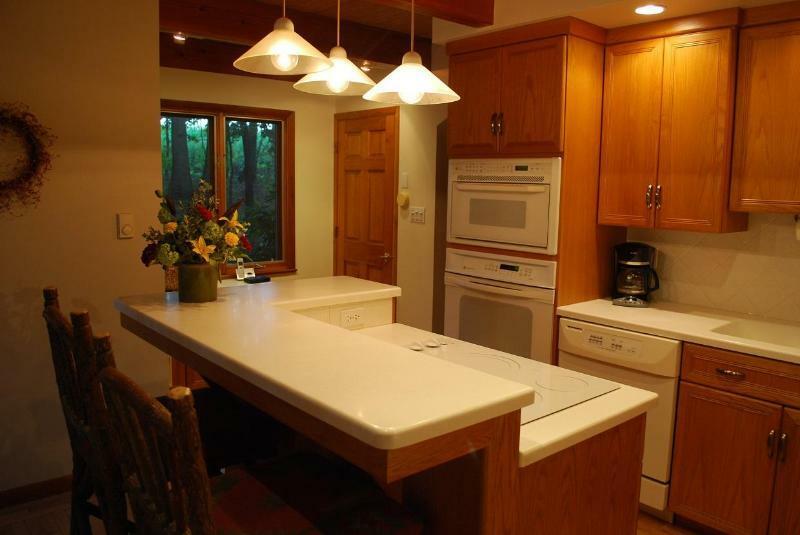 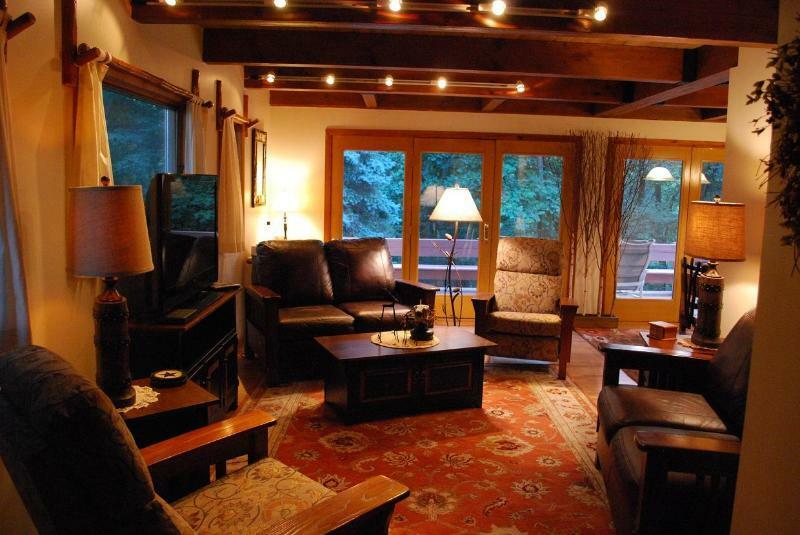 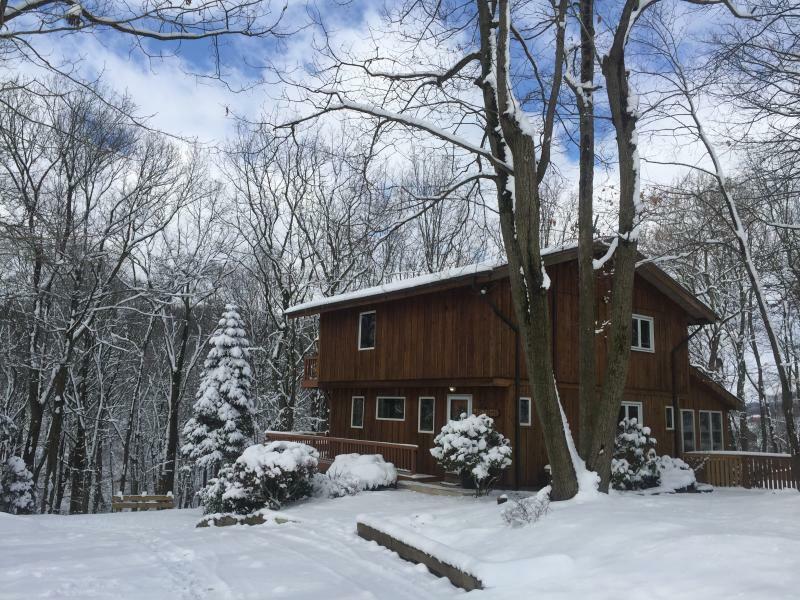 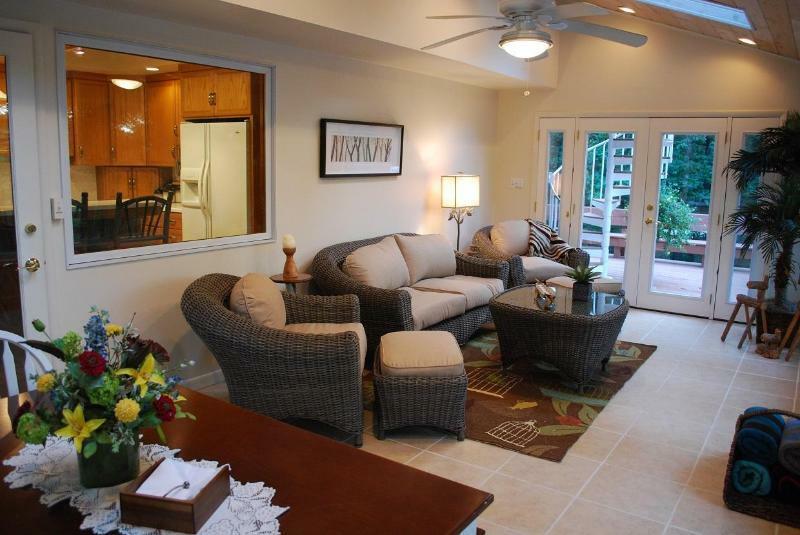 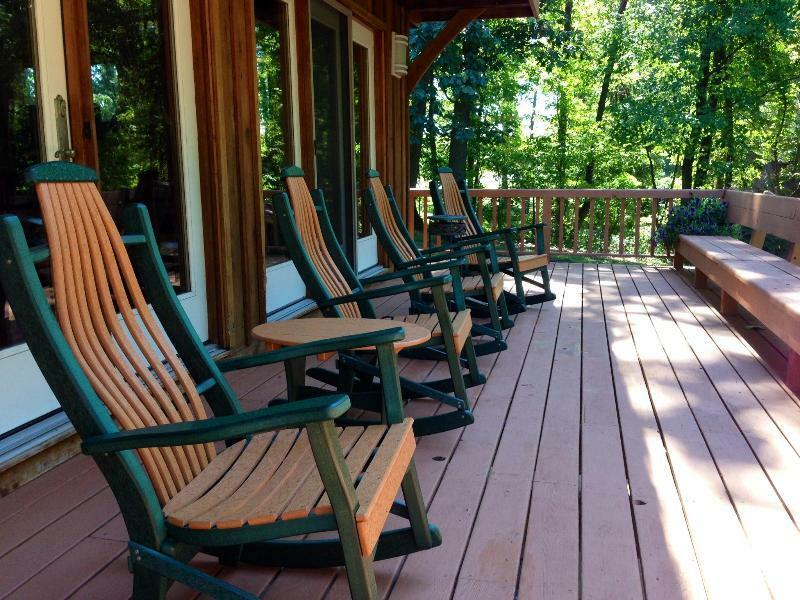 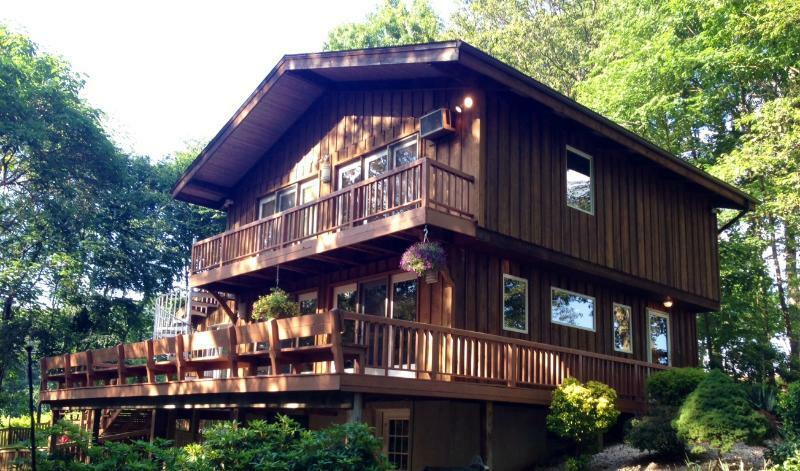 If you enjoy a peaceful, quiet, PRIVATE setting - this Cabin is for you. 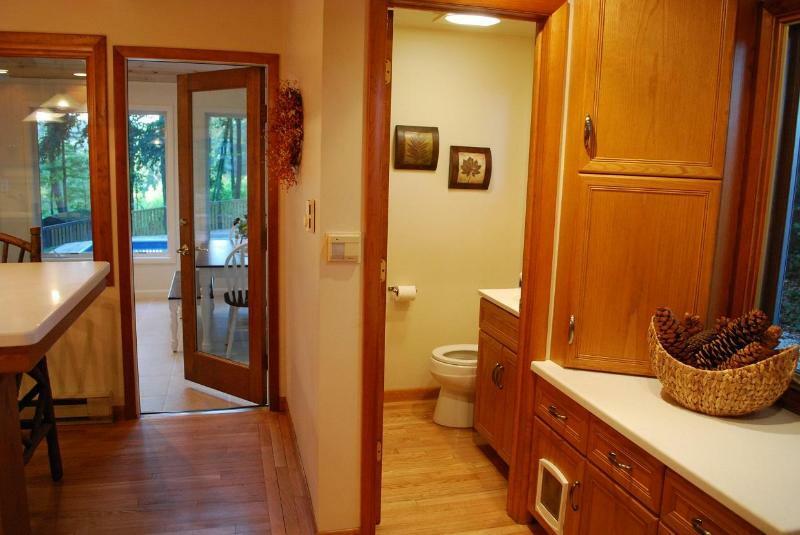 It only gets better from there. 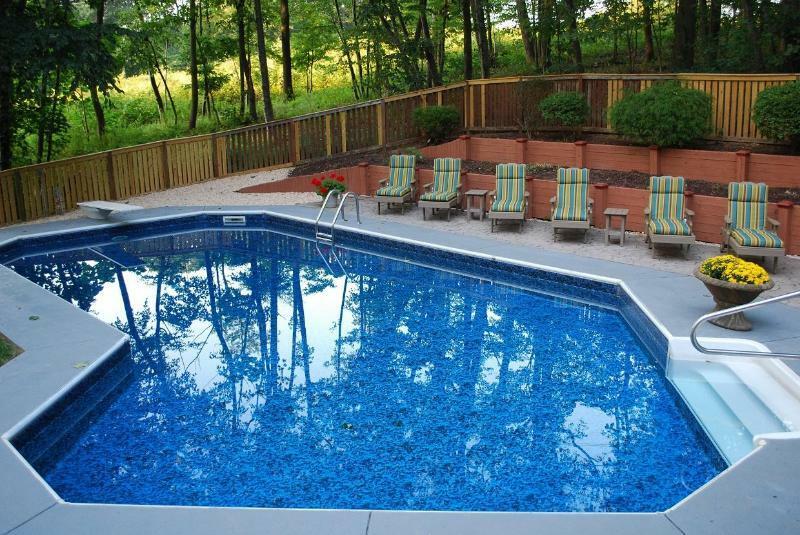 The serene wooded setting is amongst the Amish farms and is just about a 15 minute drive South of Lancaster City. 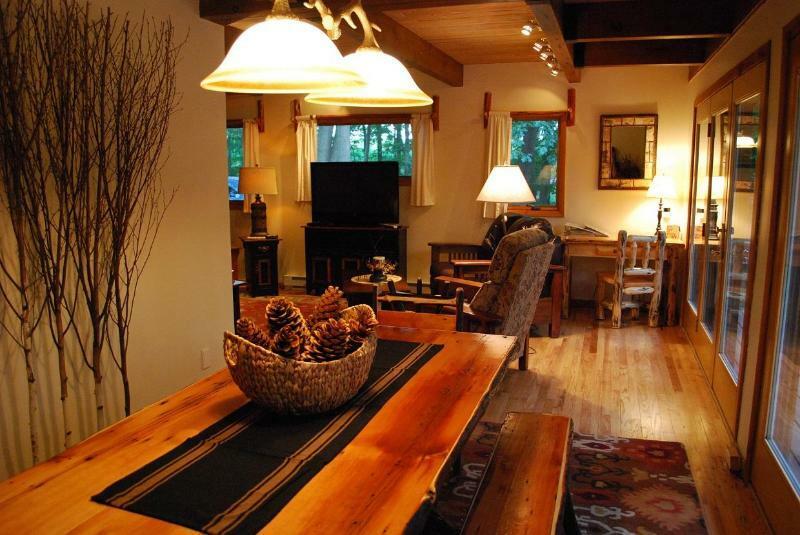 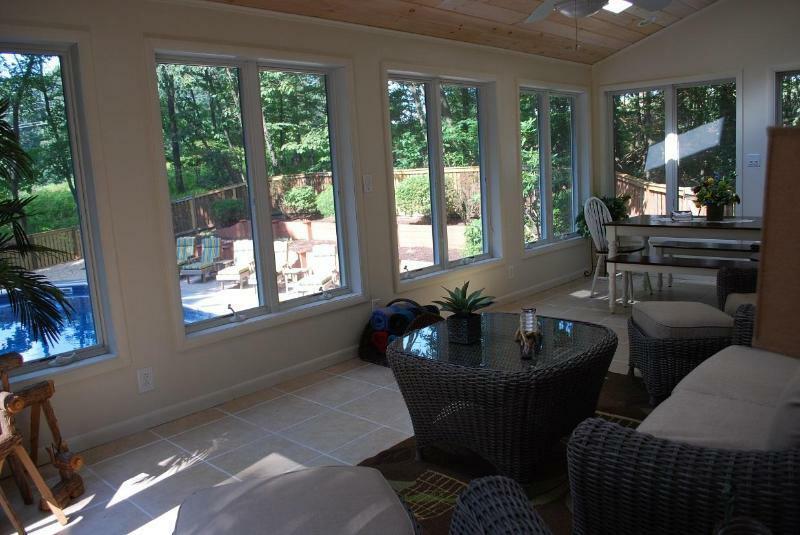 The furnishings are new and in the Adirondack style. 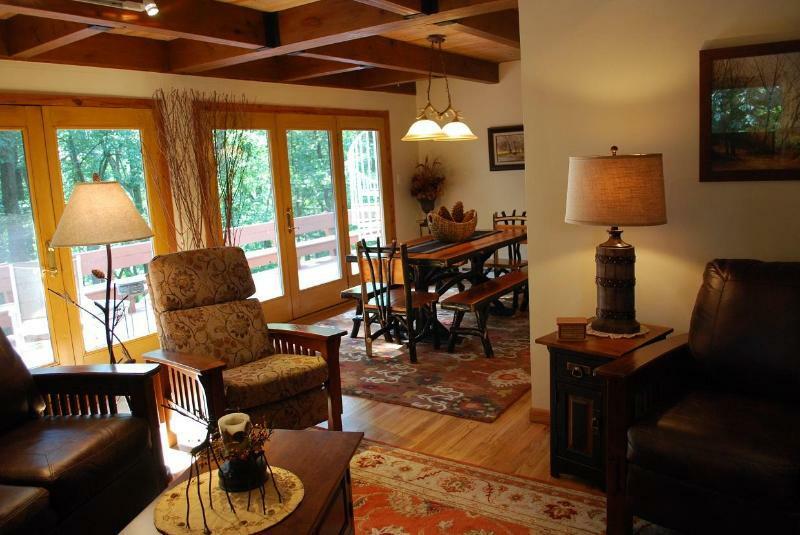 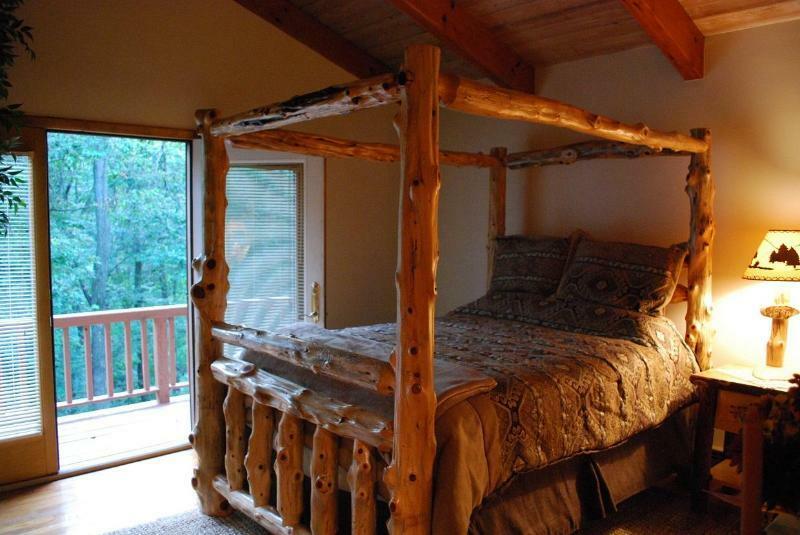 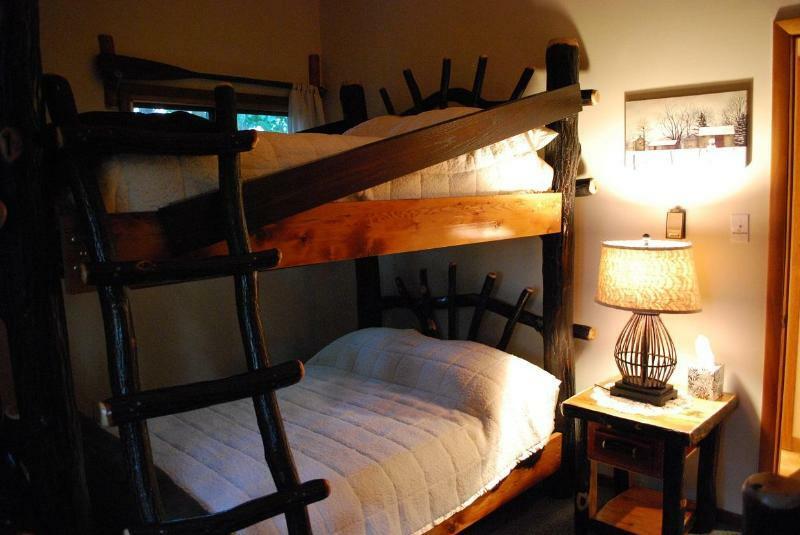 This charming Cabin has 3 roomy bedrooms and 2 1/2 baths. 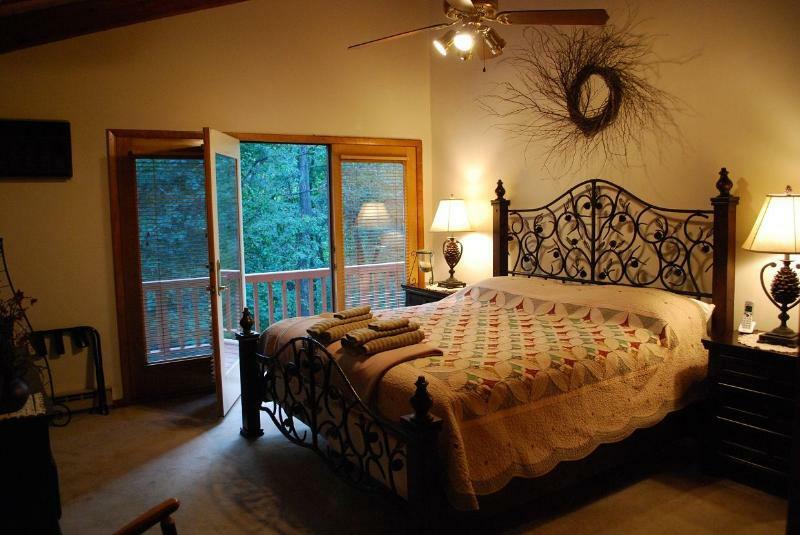 Relax in the 25 foot glass 4 seasons room and enjoy watching nature not to mention the view of the very private in-ground pool. 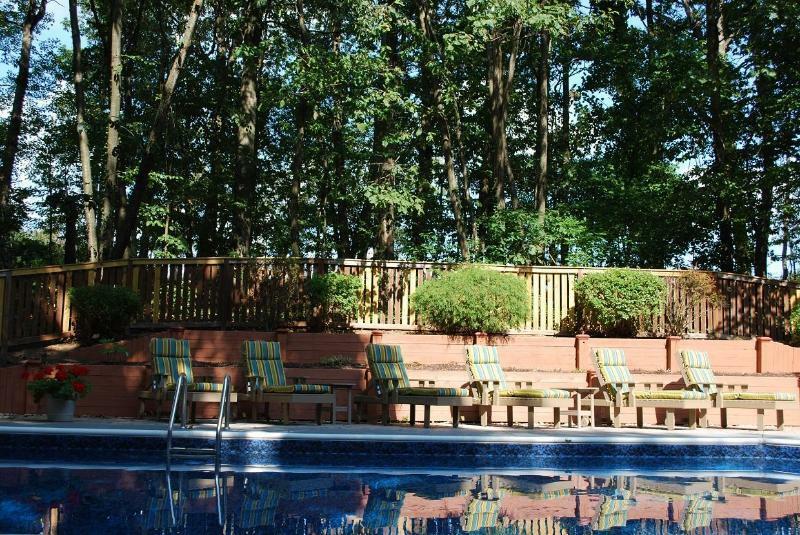 Even though you are in the country, you are still very close to many restaurants, attractions, shopping and just 2 minutes from the highly rated Tanglewood Golf Course.